Kalmar gains new ground in Europe as it wins the tender to supply in the harbor located in Northern Ireland. 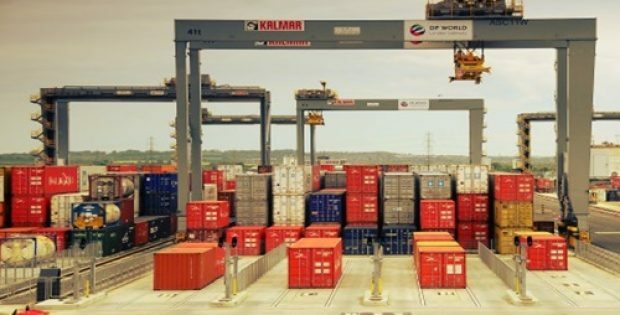 Kalmar, the global provider of cargo handling solutions and services recently announced that it has won a tender from Belfast Container Terminal, the container and terminal division of the Irish Continental Group. Kalmar will hence be supplying AutoRTG system to Belfast Container Terminal or BCT. For the record, the AutoRTG system that stands for automated rubber-tyred gantry systems are controlled by a next gen remote control desks and Kalmar Terminal Logistic System. The order was booked in the fourth quarter of 2018 order intake of Cargotec and the delivery of the system is expected to commence at the end of 2019. Belfast Container Terminal is reportedly the largest terminal in Northern Ireland. It is operated under concession by Irish Continental Group and located in and owned by Belfast Harbour. The AutoRTG system is meant to replace the currently used rail-mounted gantry crane which is manually operated. The cranes will be delivered to BCT fully erected after they have been factory pre-tested. According to an official press release by Kalmar, Trevor Anderson, Operation’s Director, Belfast Harbour has been reported to say that the Kalmar AutoRTG system will help in maximizing safety and efficiency of operations. Belfast Harbour has apparently been convinced of Kalmar’s capability of handling complex port automation projects by their proven track record and their experience with AutoRTGs. Anderson added that technical solution provided by Kalmar is a good match for the terminal. Ilkka Annala, VP, Intelligent Crane Solutions has been quoted to say that Kalmar has supported Belfast Container Terminal for long with equipment maintenance services and the company is delighted that Belfast Harbour Corporation has chosen to partner with Kalmar to commence their transition to automation. Annala added that Kalmar AutoRTG system necessarily enables terminals of all sizes to increase their operational efficiencies, improves predictability and heightens working environment safety during day-to-day operations.